The Marshall Arena in Milton Keynes hosted the seventh edition of The Masters from 1-3 February 2019. 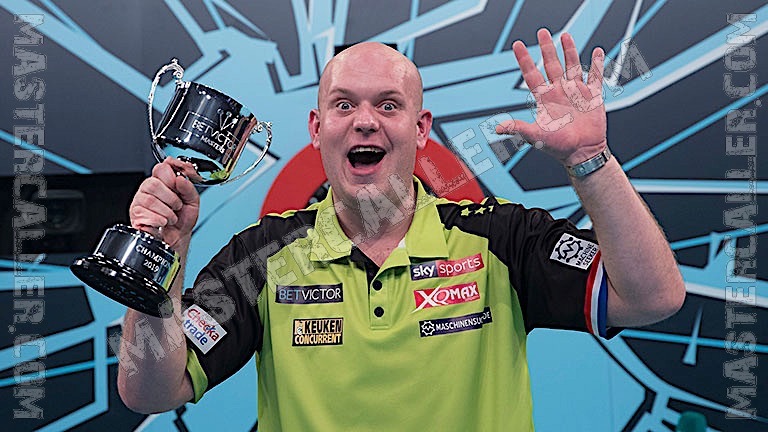 World Champion Michael van Gerwen won the tournament for the fifth time in a row. In the finale the Dutchman defeated James Wade 11-5. Van Gerwen started the tournament with a 10-5 victory over Jonny Clayton. In the quarterfinal he defeated Austrian ace Mensur Suljovic with the same scoreline. The most difficult match was against Dave Chisnall in the semi-final. With an 11-7 victory the Dutchman reached the final. Two-time world champion Gary Anderson was absent due to a back injury. He was replaced by Stephen Bunting. The Englishman won his first match but lost in the quarterfinal against Dave Chisnall with 10-4. Finalist James Wade had a good run in Milton Keynes. He defeated consecutively Gerwyn Price (10-7), Joe Cullen (10-6) and Peter Wright (11-9). In the final Michael van Gerwen was to strong for The Machine. The highest average of the tournament was for Mensur Suljovic. In the first round the Austrian threw an average of 106.12. Winner Michael van Gerwen had the highest outshot. He hit the maximum finish of 170 twice during the Masters 2019.